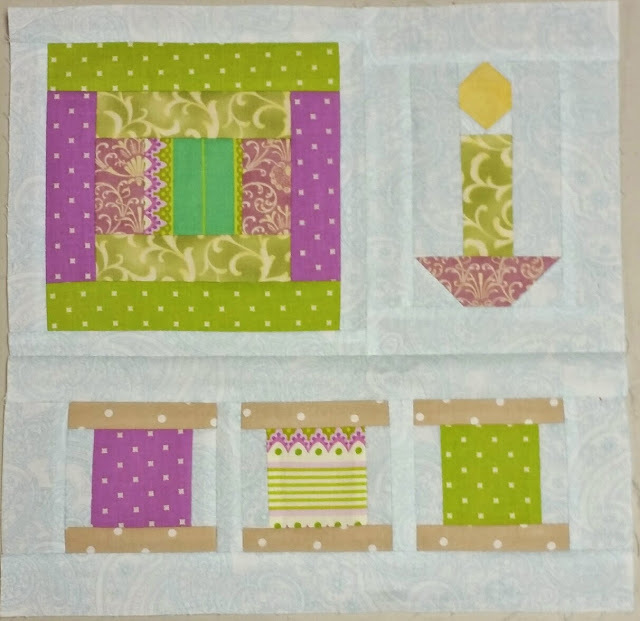 Last night, I managed to make another two blocks for Lori Holt's #haveyourselfaquiltylittlechristmas sew along. This cute little courthouse steps block and the spools both went together quite quickly. I also sewed the binding onto the back of one of the quilts I quilted over the weekend and have started sewing it into place this morning. Hopefully I'll have a finish to share on Friday!!! What are y'all working on this week? Come link up with Quilt Story for Fabric Tuesday and Live a Colorful Life for her Choose Your Own Block Sew Along. These blocks are so cute. I have so enjoyed this sew-along with Lori Holt! Our First Leader/Ender Linky Party! Sunday Stash - My Oliso Came In!